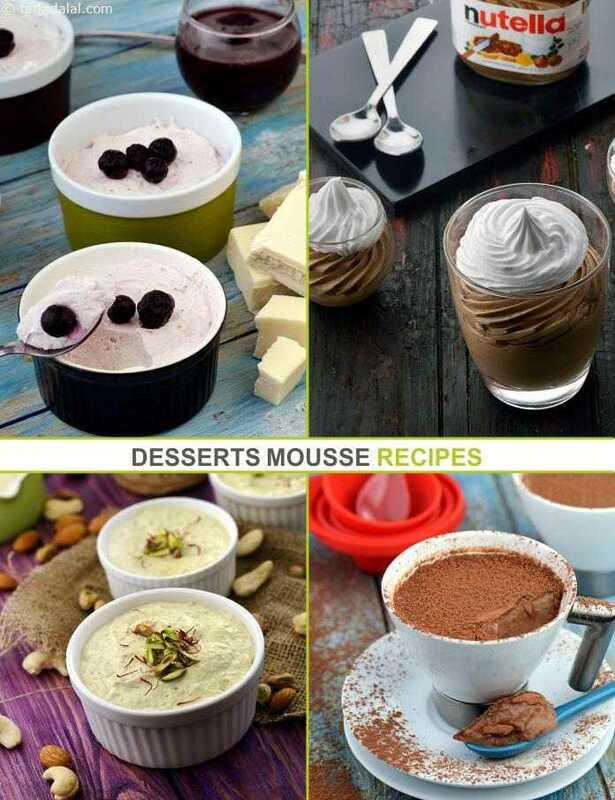 Mousses are soft and creamy desserts, which melt in the mouth. Cheesecakes are layered cakes, generally with two or three layers. Indulge in treats like the Chocolate Chiffon Pie , Chocolate Banana Mousse and Easy Chocolate Mousse , to pamper your senses. A tempting combination of white chocolate and blueberry crush, this blueberry mousse is another easy-to-make mousse that you cannot resist! A delight that melts in your mouth and leaves an indelible mark of joy! this Lemon Mousse is as light and soft as a soufflé, and has been made with paneer—an ingredient that you might not have thought of making mousses with before!